Pogo10.50 in the fleet of FastSailing! 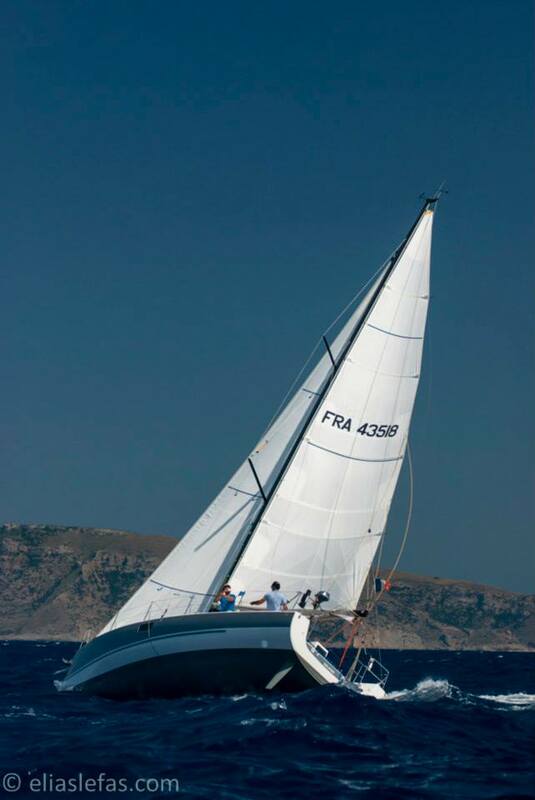 FastSailing.gr has added a bran new Pogo10.50 in its fleet starting from the 2013 season. As expected, the yacht has top notch gear including carbon mast, a custom made extra long carbon bowsprit, hydranet genoa and mainsail as well as a gennaker and an assymetric spi. MaxSea routing software will be supplied on all races for optimal performance! The custom made interior arrangement can comfortably host 3 couples in 2 double cabins and a foldable double bed in the saloon. Hot water, internal shower, electric WC and heating will make cruising even more comfortable all year round. We have been thrilled to sail her in the transfer trip from France during which we reached speeds >15kts in absolute safety and comfort! Enjoy a unique sailing experience with a Pogo10.50, in one of the most beautifull seas in world, in Greece!